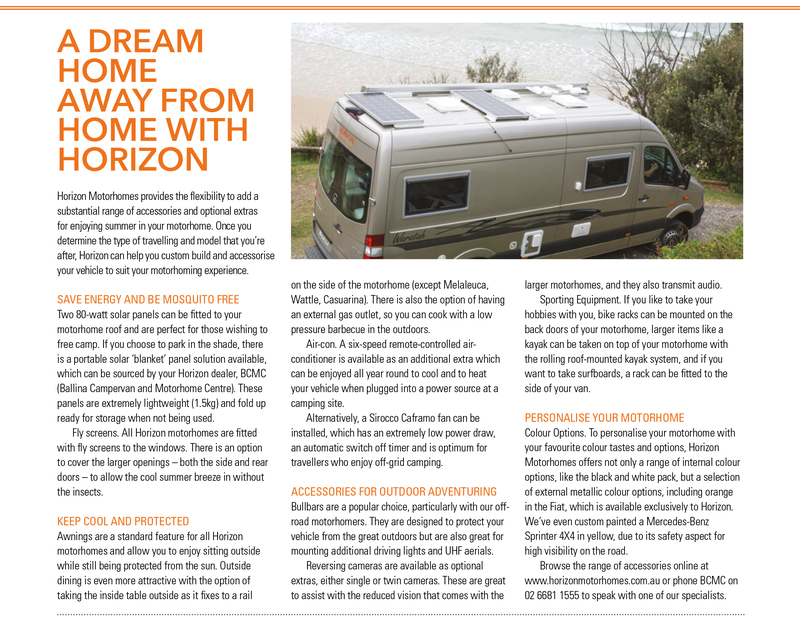 Horizon Motorhomes provides the flexibility to add a substantial range of accessories and optional extras for enjoying summer in your motorhome. Once you determine the type of travelling and model that you’re after, Horizon can help you custom build and accessorise your vehicle to suit your motorhoming experience. Two 80-watt solar panels can be fitted to your motorhome roof and are perfect for those wishing to free camp. 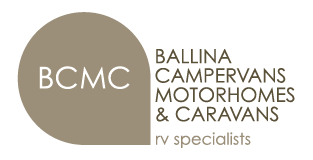 If you choose to park in the shade, there is a portable solar ‘blanket’ panel solution available, which can be sourced by your Horizon dealer, BCMC (Ballina Campervan and Motorhome Centre). These panels are extremely lightweight (1.5kg) and fold up ready for storage when not being used. Fly screens. All Horizon motorhomes are fitted with fly screens to the windows. There is an option to cover the larger openings – both the side and rear doors – to allow the cool summer breeze in without the insects.